Friends it's officially "game on". We've hit December 1st, time for all-in holiday celebrating. The Christmas tunes are getting cranked, we're busting out the hot cocoa and the decorations, endless viewings of Charlie Brown Christmas shall ensue. And, yes there will be gift guides. I have to say, I'm a bit obsessed with gift guides...I pour through all the ones in the magazines (Domino used to do the best ones, yes?) and have loved all the excellent guides on the blogs this year (Catherine, Casey and Michelle did especially fantastic ones). So without further ado, the first of the guides. Enjoy! Up tomorrow -- the kiddos! Love it all..great ideas.. thanks for sharing! I love your ideas! I have been gifting *experiences* for the past couple years and I like that gift guides are coming around to this as well. Yay! I'm an obsessive declutterer and a mama/sister/cousin! That means I get both, right!! Love it! Such a wonderfully curated list here. I am swooning over it all! 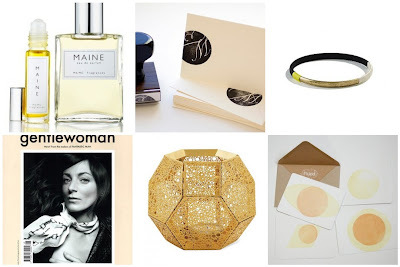 I'm so intrigued by the Maine scent - have a feeling it smells incredible. 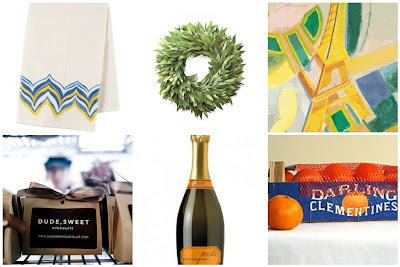 Love the gift guides! I saw Michelle's also, and am very much (this year) in favor of experiential gifts. But I also love to purchase gifts and wrap them- so this first section is perfect. Thanks for the great ideas! I am so the obsessive one! great picks. 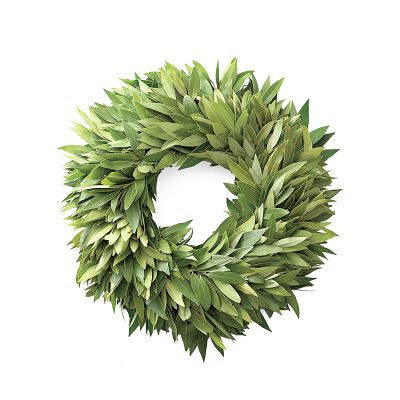 That bay leaf wreath is beautiful! Lovely picks. So many great ideas...needing those gold votives myself!! you have a way with words, i adore your personal guides. and, you make me blush, thanks for the gg love. I knew your gift guide would be great! I look forward to seeing what's next. lovely list. I can almost smell the bay leaves. LOVE it! Such beautiful & thoughtful pics hun! SO excited for the rest of your gift guides, cause I am SO with you...I LOVE em.